Whoops, wrong thread. Who cares? ULL is not the flagship of the La System. ULL, La Tech and UNO are co-equals. I don't care about U of La usurping the title from the standpoint of Tulane. WE don't use it. I care about it from my standpoint of a La resident and citizen. "U of La" connotes excellence in academics and research. ULL doesn't measure up institutionally. And nor can we, the taxpayers, afford to fund them at a rate to be able to be worthy of the name. It does nothing to LSU. It sticks it to ULL. The "UL" thing is and has been such an obsession with those unfortunate people that the notion that it was a boon granted them by us is delicious to contemplate. The LSU anger is real, and it's hilarious. The ULL haplessness is just as real and it's great, too. We should force them to refer to themselves as USL when addressing anyone in Tulane garb. I both agree and cab get behind that idea. I did ask some of them why Louisville fans were at the New Orleans Bowl a few years back. Shaun King just tweeted Ty Pigrome to encourage him to go to Tulane was that wrong? Maybe we should fuss at him? I think it's ok for Shaun. If Shaun is doing it as a booster, it's improper. If he is doing it as some form of representation in accordance with the Athletic Department, it's probably OK. It's fairly common, I think, for recruiters to employ well-known alumni as part of the process--though I imagine that it's generally as part of official visits. My biggest concern is with fans who will contact recruits and unintentionally interfere with the staff's recruiting process. Looks like they lost a couple of recruits and some others "with interest" no longer have interest. I actually like that the assistant followed up and said, basically, "I wasn't talking about you but if you're that soft, we don't want you anyway". Probably won't go over well because they lost hihgly-ranked prospects, but maybe other schools need to think about whether these kids can't take verbal abuse. Perhaps they will need to build shelters over the sidelines so the players can be in their "safe zones" during games and not hear fan comments. I doubt that coach ever once intimated that the kid was soft until the kid gave him some bad news. Who's really soft here? Besides, this thread was about fans tweeting recruits, which is banned by the NCAA, for whatever that's worth, as well as being just plain undignified and a bad idea. I know, but would a new thread have been better? Maybe I could just paste a link with no description! I know this thread has been dead for a while, but I thought it necessary to bring this up again....DO NOT TWEET AT RECRUITS. There are people on twitter bashing former commits for reporting other offers and tagging one of our best current commits in the tweets. STOP. You idiots are going to do some real harm one day. 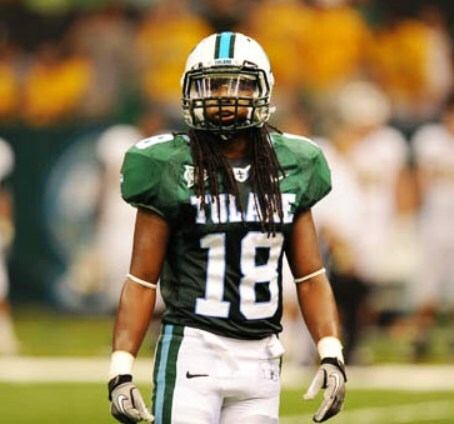 You aren't "defending Tulane," you're making yourself (and the school) look stupid. What are the chances it's a regular poster from here doing it? I just read the story about the Norte Dame commit that just decommitted and had a ND fan send him a private message calling the kid a coward and bashing his decision. The kid classily replied something along the lines of "Have a blessed day". Yes, this guy totally seems like the type willing to be "policed" by other fans.